I just got my first Bluey.Got him from Daytona Breeders Expo from Ray Gurgui,hes a Northern. 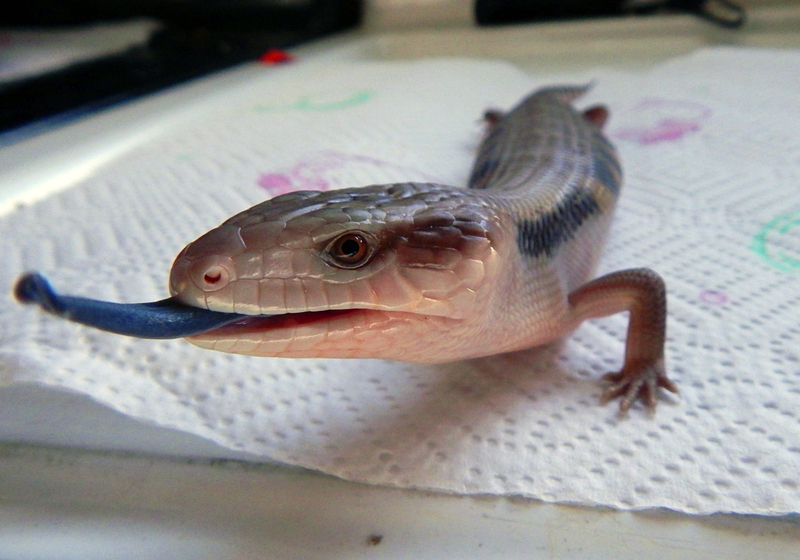 I tried this once but pics didnt load so lets try again here r some pics of my northern bluey Zanitos got from Ray at Daytona Bteeders Expo couple of weeks ago.Im new to skinks but alrdy hes best pet Ive ever had so smart and so much personality. First time posting, so lets see how this goes! He is the second Bluey I've owned, after I originally had to give my first one up for adoption before a move a few years back. He's allegedly a three month old, purebred Northern, but those dark patches behind his eyes give me a bit of pause; would anyone care to verify his breed? Regardless, I've only just brought him home tonight and am completely enamored! Very energetic and personable, despite some initial huffiness. This is Gurumarra - about 4 months old Northern who is our classroom pet. The kids love feeding him and he watches them as much as they do him. I've always loved these guys ever since I was knee high and there was one at our zoo. ugh. pics apparently didn't work. Last edited by ascerny on Thu Sep 28, 2017 4:31 pm, edited 1 time in total. My 4 month old Northern, Gurumarra. He's a classroom pet in my Science 7 classes and the kids love him and love bringing him his food. He's still getting used to them more and more and watches them about as much as they do him (if not moreso). Here is another cute picture of my guys today. Love these guys so much. Took these the other day of Noodles. I can't say enough how much I love him. He is the absolute sweetest BTS. This is King Billy and Correa. They are two Tasmanian Blotched Blue-Tongues. They were rescued from a fire pit as babies down in Hobart, 3 hours from where I live. They are one year old. Correa is 32cm and King Billy is 36cm long. I named them after Tasmanian Native Plants, the King Billy Pine and the Correa. Their favorite food is Skippy (Kangaroo meat), snails, strawberry, banana and boiled egg. I just adopted this guy, my first ever rescue reptile. This website has been a huge help in learning how to care for him. Thanks so much for sharing your knowledge! My husband works for animal control, they got a call that this BTS was left behind by a former tenant who could no longer care for several reptiles. (That tenant was notified and given substantial time to claim his pets.) I visited the shelter several times and fell in love. We named him Sparkle, after a local Christmas parade being held the day we got him. Sparkle now lives in my elementary classroom. He is quite the character! My south Queensland Easterns Kira and Bajo. I got Kira when she was 4 weeks old from a breeder a few hours far from home. She's my first reptile. 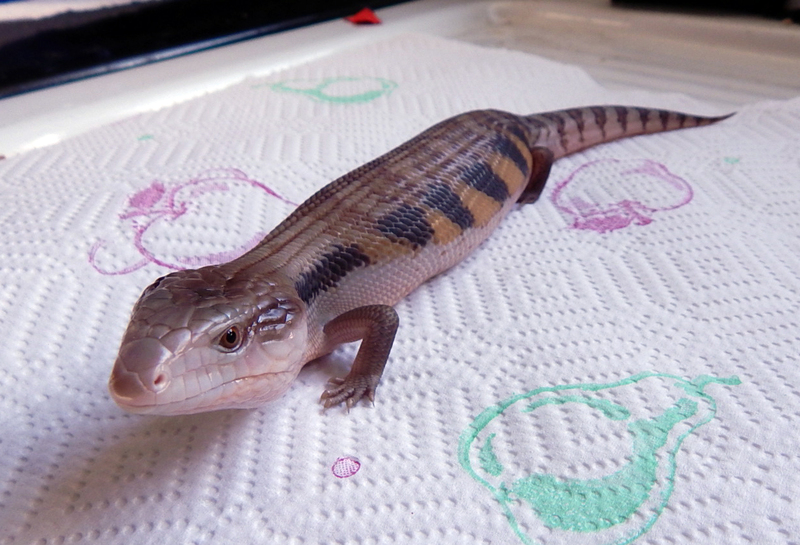 She is 2 years old and 50cm long. I got Bajo from VHS (victorian herpetological society) reptile expo in March, he was less than a week old when i got him. He is nearly 10-11 months old now and currently 36cm long. 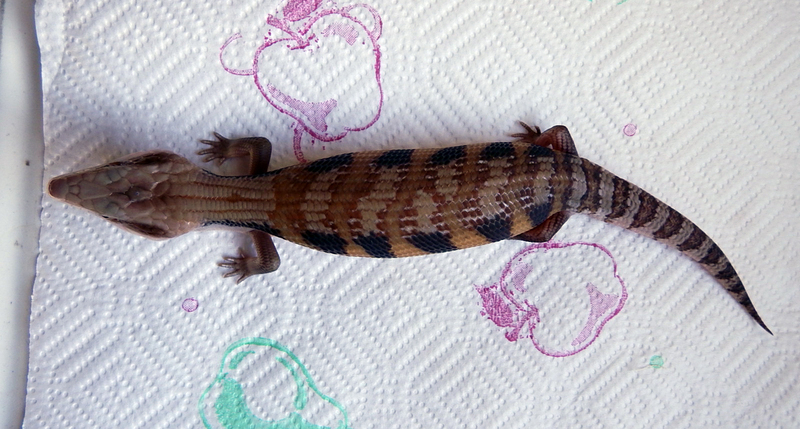 He was an impulse buy bc 1 skink is never enough. They don't live together btw, they're only together when they're outside under supervision.